1 year ago today I created this blog… taking a leap of faith… and posted my first entry. I was in my first week ever of running - I had just committed to running a 5k - an activity I swore I would NEVER once again do after completing high school gym class. My family thought I was crazy, when I told them I was going to run a 5k, and so Fat Little Legs was born! Amazing, amazing things have happened in the year since. WOW… a year ago, I would have NEVER considered that all of those things would be on a list of my highlights and accomplishments from this past year. It kind of makes me wonder if all years after this are going to be sort of anti-climatic. -- You will always think there is a better time to lose weight - next week, when summer hits, when the kids go back to school, January first, Monday... but the best time to start is RIGHT NOW. What are you waiting for? I waited a good 15 years to finally start, and my ONLY regret is that I wish I had done this earlier. -- No matter how much weight I lose I will NEVER have a flat stomach, or visibly toned arms, unless I have surgery. I will look 15 pounds heavier than I really am, because of my extra skin. I will look horrible naked, and in a swimming suit. I will either have to be OK with that, or schedule surgery. I will try to remember that my excess skin is my badge of honor for winning this fight! I have to remember to wear it with pride. -- The number on the scale does not, and will NEVER define who I am. It doesn't define who you are either. -- A good fitting pair of jeans will make you feel like a hundred bucks! My husband - apparently the reason the Star Tribune reporter called me was because of him. He wrote an email to them telling about my weight loss accomplishments and my blog. He puts up with me taking pictures of food, arrangements of groceries, and other strange things for use on my blog, and he probably gets ignored more nights than not, because I am working on my blog, or writing up a new post. He also never complained about any "healthy food" I made or had in the house, and always accepted that our house was pretty void of junk food. Thanks honey... I love you! My CWWL - I kind of feel in a way like you are my Weight Watchers mother. You were there through this whole journey for me. You always made me feel like this was possible, and you never gave up on me. You listened to me complain and celebrated my successes with me. You ran with me. I am eternally grateful. My son "L" - It was you who inspired me in the first place. Had you not been the unique, wonderful person that you are, I wouldn't have embarked on this journey. My 2 older sisters - for the nick name "Fat Little Legs" which makes a pretty catchy blog name for a formerly fat girl! My God - Who always knows best. The night "L" was born I thought he had given up on me. I felt like I had given up on him. But one thing I've learned about God... especially in the past few years, is that his grand plan is not our grand plan, and is certainly not always apparent to us when we are in the midst of pain and suffering. Sometimes it takes years or even a lifetime before he finally reveals his plans. I'm so glad to now be on the other side of that plan. To know that the strife of my pregnancy and the stress of dealing with a nicu baby was all a part of his plan for my life to be forever changed. Awesome and powerful to reflect on. And you... my readers - Thank you for the hundreds of kind comments and emails you have sent to me over the past year. Please know that I read each and every one of them. Knowing that someone is reading and watching, kept me going when I wanted to give up, kept me running when I wanted to stop, kept me focused when I started to stumble. Thank you for reading and following my journey. I hope you will continue to follow my journey as I have my second baby later this year, and have the opportunity to lose weight all over again! CHEERS! Thank you fir the great posts and we are looking forward to another year!!!!!! Happy Anniversary! I found your blog today. =) So I'll gift you a brand new follower. Your accomplishments are so inspiring! Congratulations for all you have accomplished! You are amazing and an inspiriation!! Keep up the great work and keep on blogging!!! 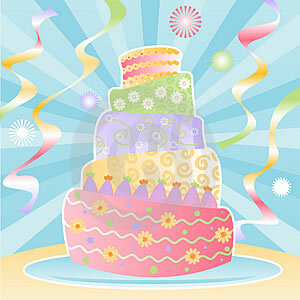 Congratulations on your blog anniversary and above all, all your accomplishments in this past year! I saw the newspaper article at Peace Church today posted on the wall after our daughter's preschool program.